pharmacy online canadian pharmacy Updated Penang Street Food App | Penang Street Food | Penang Delicacies "penang food", "penang hawker food", "penang street food", "penang delicacies", "penang gourmet", "food in penang"
In the latest update, we added new features that you might find interesting. 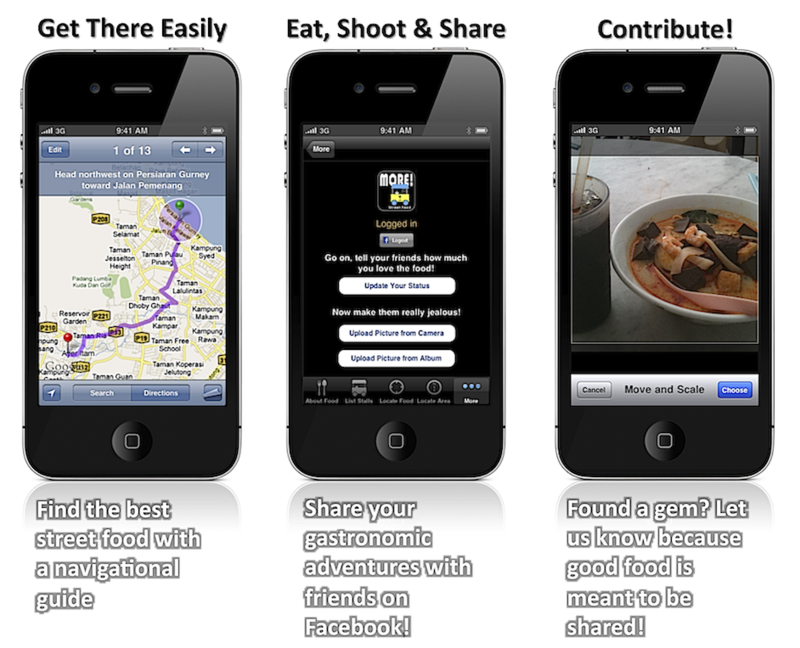 You can now share your favourite Penang delicacies with your friends via the built-in email feature. Or if you prefer, you can update your Facebook status to rave or rant to your friends about the new Penang food stall you just discovered. 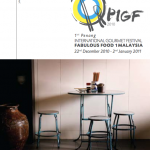 The new Facebook feature also allows you to upload photos of your gastronomic adventures, be it your favourite Penang delicacy or your regular stall that you never miss when you go to Penang. You have the option of taking a candid photo and uploading it on the spot as you enjoy your food or upload a saved photo from your photo album. 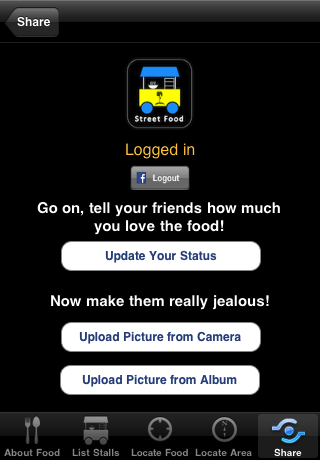 In both cases, a new album will be created in your Facebook photo albums to store all photos uploaded from the Penang Street Food app. Alternatively, you can also email your favourite food photos to us via the built-in email feature. 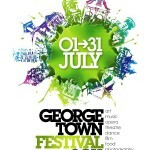 We will definitely try to feature your photo contributions on our Facebook fan page and on penangstreetfood.com. These new features are accessible via a new “Share” tab. 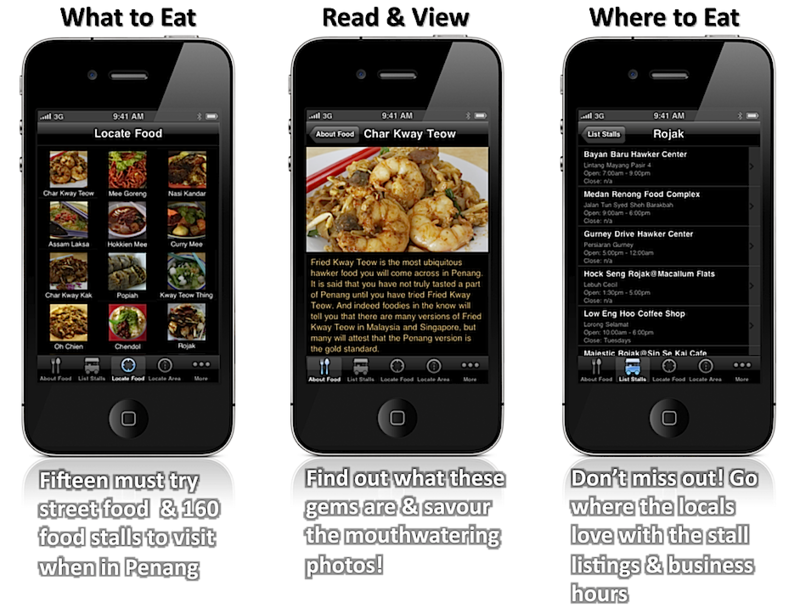 Make sure you download the Penang Street Food app (version 1.2.1) to check out these cool new features. We also launched More! 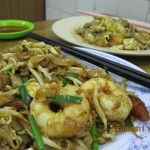 Penang Street Food on the App Store not too long ago on 15 September 2010. 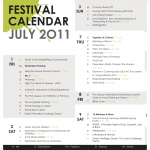 Make sure you check out More! 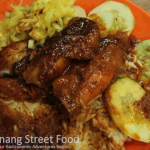 Penang Street Food on the App Store! Until you do, your new iPhone 4 will be incomplete!